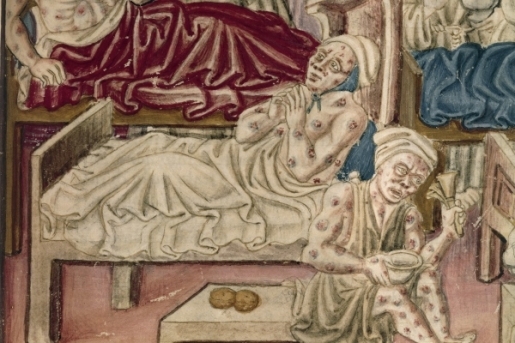 The black death, AKA the great plague, AKA Texas flu. Once upon a time, it was one of the most feared diseases in the world. The Black Death was one of the greatest plagues to sweep through Europe in human history, and it killed 25 million people back in a time when 25 million people was like a billion people today. However, these days, people don’t get the plague, do they? Well, most of the time, no. However, some people are still succeptible to it. A 51-year-old man in Oregon caught the Black Plague from a cat bite; the stray cat was one his family had been feeding for years, though the cat bit him while he was trying to take a dead rat out of its mouth. For those that don’t know, rats were a major carrier of the plague, because rats are usually infested with fleas, and fleas are what spread the plague throughout Europe. The 51-year-old, who was not named, checked into the St. Charles Medical Center in Richmond, Oregon, before being transferred to the larger center in Bend, Oregon. The man has been diagnosed with the septic style of Yersinia pestis, which causes pain, gangrene, and bleeding. The cat, which died a short time later, was sent to the Centers for Disease Control for further testing. Four people have been diagnosed with the plague since 1995; all four survived. There is a plague vaccine, but it is not sold in the United States. In medieval Europe, the ambergris of whales was often used as a plague cure.